I’m so glad so many of you have been enjoying the Daniel Fast recipes! One of the best ways to start the year is with a healthier diet. It’s that time of year to rid your body of processed foods and get back on track. Consider the Daniel Fast as a way to change your eating habits, even if only a bit. With the Daniel Fast, you eat more natural foods which is always more healthy. The Daniel Fast is based on the Book of Daniel. If you’re familiar with the Book of Daniel, he ate only veggies and drank only water. We’re not going to be quite that that strict! 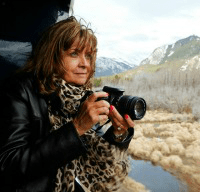 In fact, I think if you try this fast, you will end up looking forward to it each year, and maybe even eat a little better throughout the year by using some of these recipes. Every time my husband and I eat this way, we remember how much we love it. We had friends over for dinner one year when we were all doing the Daniel Fast and I remember one of them saying it was more like a feast than a fast! With all the recipes available now for eating this way, you will probably fall in love with eating better, too. Not to mention how much better you will feel. Don’t wait until the new year. Start tomorrow! The list below makes it easy to make Daniel Fast breakfasts, but many can be used for meals throughout the day. 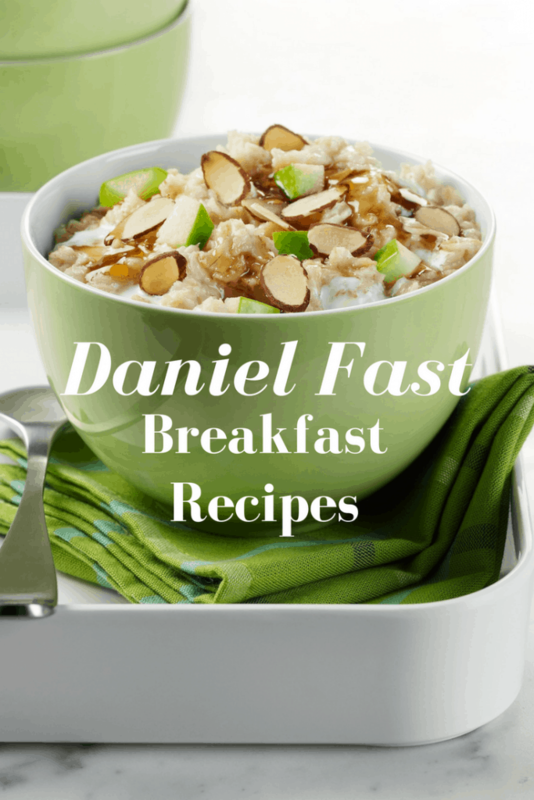 Try this fast for a few days and you may end up using these Daniel Fast breakfast recipes every day of the year! Apricot Nut Breakfast Bars These are a wonderful snack, too! I have quite a few Daniel Fast recipes on my site because we love eating that way. It’s a great way to cleanse your mind and body. Be sure to pick up one of the books or read further online. Check out these Daniel Fast recipes for lunch and dinner as well as these 12 Daniel Fast recipes. Head over to pin your reminders from my Daniel Fast Pinterest board. If you are not being that strict then please do not call it a biblical based Danie Fast. I am so sorry. I had an assistant update this for me and somehow that recipe was added. Thanks for calling it out! It’s been replaced!